Abstractors and Title Examiners – are we Smarter than the Average Bear? 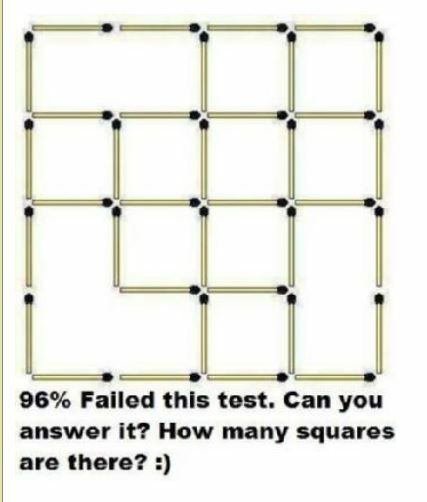 How many squares are there in the picture below? Thanks to David Bloys, Title Guy out of Texas (posted on Source of Title) for this fun exercise. 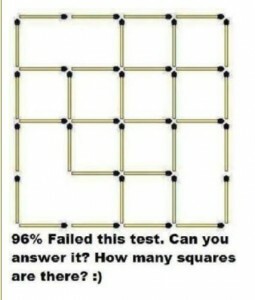 David says that 96% of the people who took this test failed it. Well, as what I consider a reasonable title abstractor and examiner, I found it fun. Didn’t take long. See if you can come up with the right answer. If you want the number (or the answer by 1/4 1/4 of the public land survey) just contact me or feel free to post it!